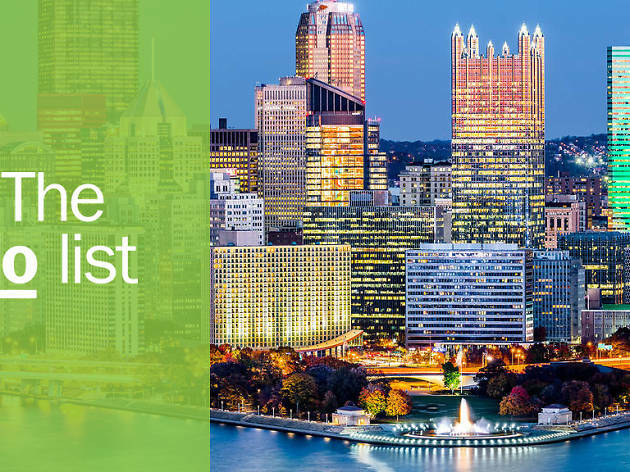 Though the Steel City might not seem as glamorous as New York or Los Angeles, there are still countless things to do in Pittsburgh. 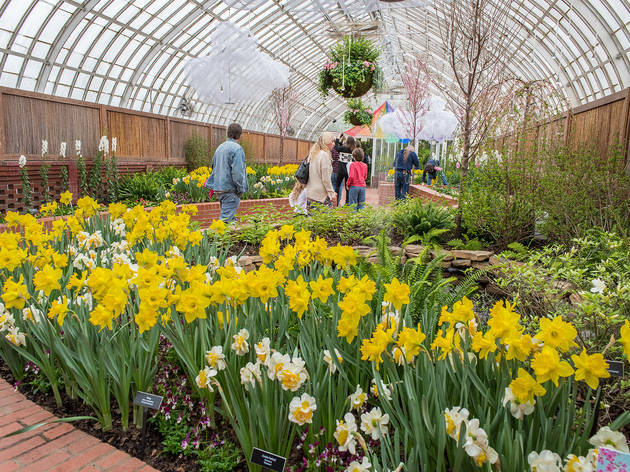 Baseball fans ought to catch a game at PNC Park, while nature lovers should stroll through the lush Victorian greenhouse at Phipps Conservatory. 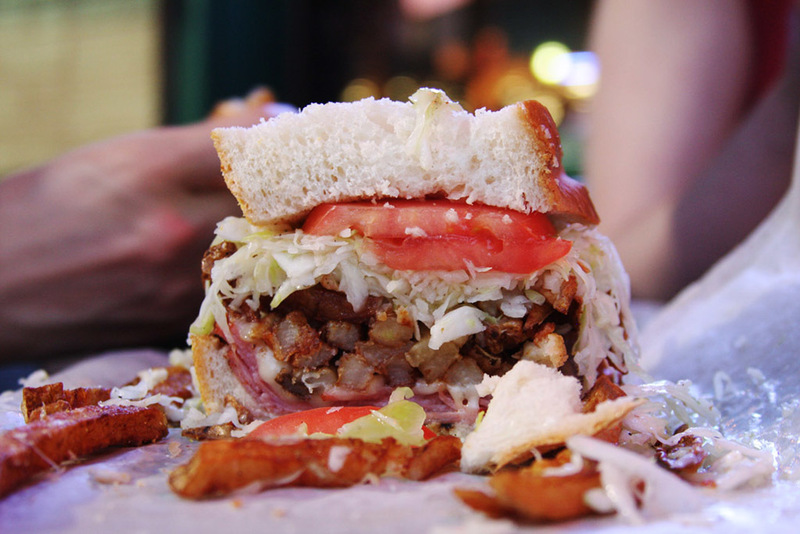 Pittsburgh's food and drink scene is also exceptional. Here you'll find the best diners, best hot dogs and best waffles in America. And that's not even including the gems on our list of the best restaurants in Pittsburgh. 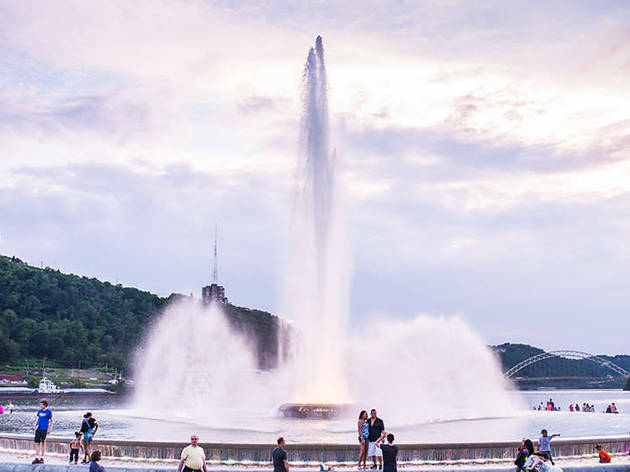 Whether you’re a newcomer or a lifelong local, you have to add the best things to do in Pittsburgh to your bucket list. What is it? Constructed in 1893, the steel-and-glass Phipps Conservatory and its surrounding grounds house the Center for Sustainable Landscapes, an impeccably green botanical research facility. Why go? Take the right-turn-only path that meanders around the Victorian greenhouse and grounds and through the numerous plant collections and exhibits, including desert plants, ferns, orchids and the butterfly forest. 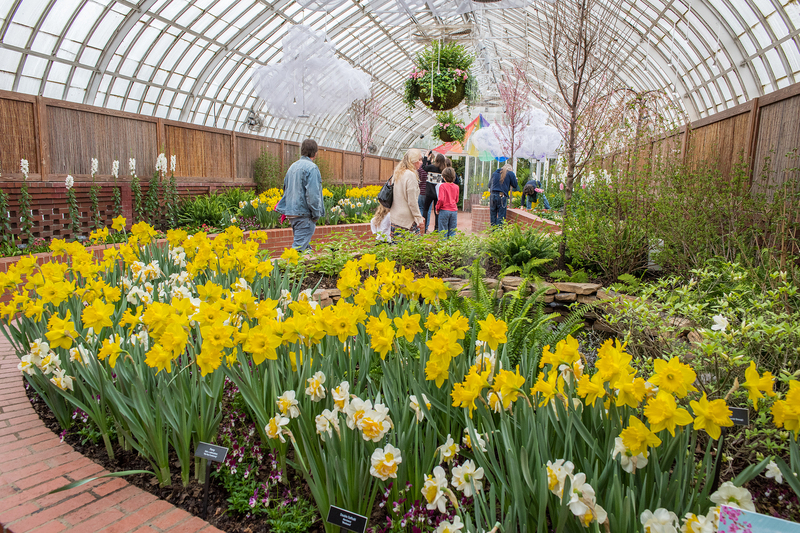 Come in the summer for the Gardens of Sound and Motion flower show, where wind sculptures and interactive installations add another dimension to the blooms. What is it? Right by the Smithfield Street Bridge, you'll find this National Historic Landmark by John Endres: a funicular he built in 1870. Why go? 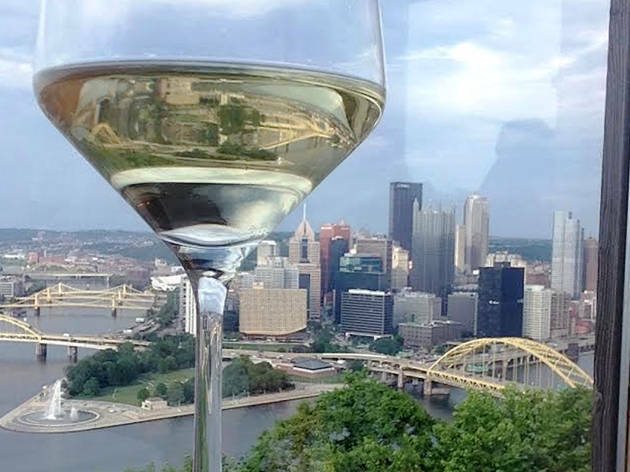 First of all, to take in the ace view of downtown Pittsburgh and the three rivers. Secondly, to explore the neighborhood of Mt. Washington up on high, before stopping at The Summit. We're of course talking about the craft cocktail bar and restaurant on Shiloh Street. What is it? 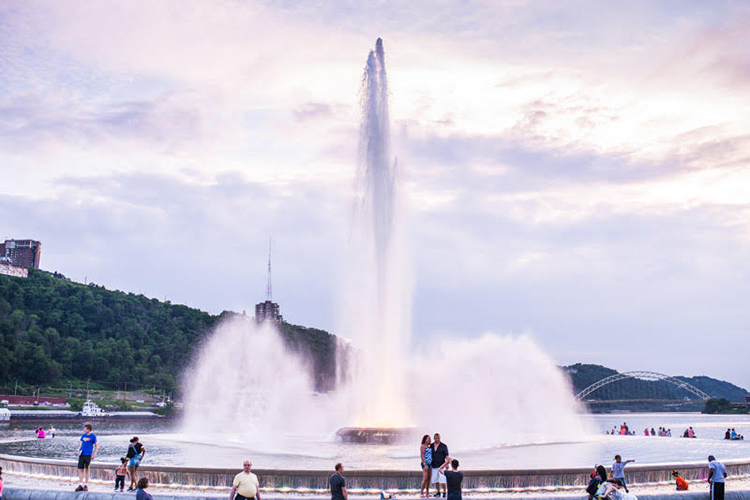 The Monongahela and the Allegheny join to form the Ohio at the aptly named Point State Park, marked by a massive fountain. Why go? It's the best spot to check out the tip of the Triangle at ground level. During the American Revolution, this land was Fort Pitt (the western headquarters of the Continental Army). the Fort Pitt Blockhouse (built in 1764) remains the only surviving structure and is open daily for free tours. What is it? 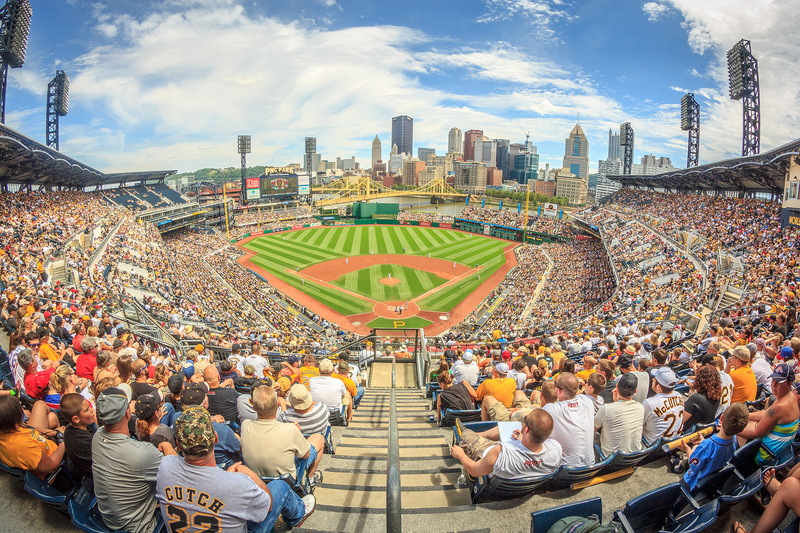 PNC Park may be small by Major League Baseball standards (seating 38,362), but many fans agree that it is the most beautiful ballpark in the country. Why go? 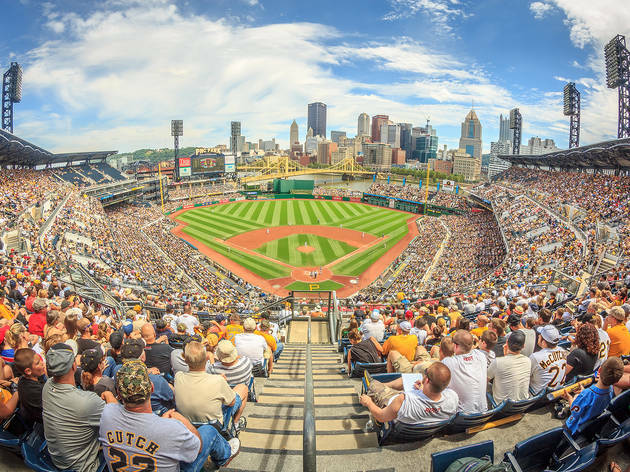 You can’t truly experience this sports-loving town without getting decked out in black and gold and going to root for the Penguins, the Pirates or the Steelers. With cityscapes in all directions and the highest perch in the upper deck only 88 feet from the diamond, there isn’t a bad seat in the house. What is it? 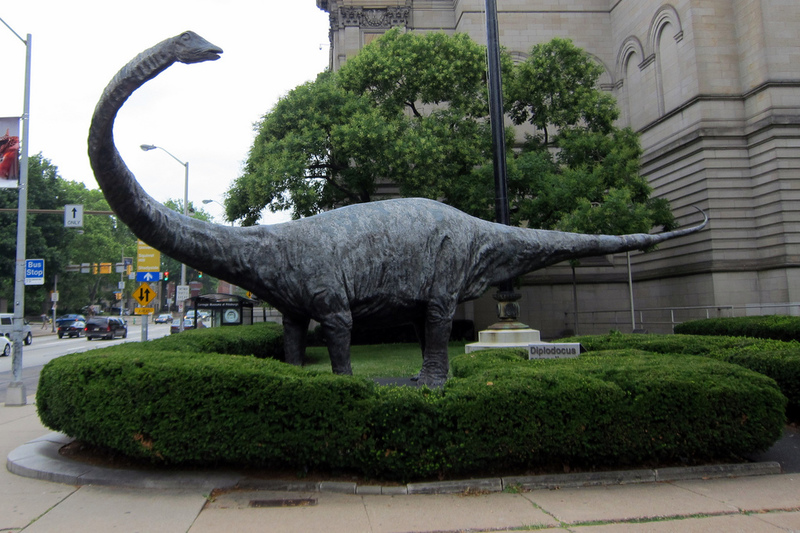 Two of Pittsburgh’s four Carnegie Museums are located in the 1895 landmark building founded by the Scottish-born industrialist. Why go? 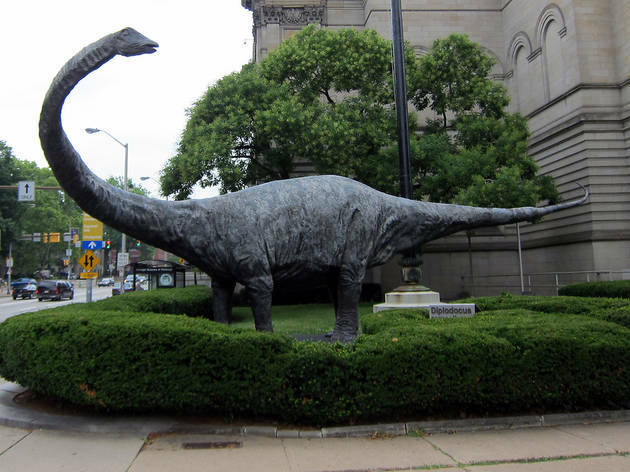 A lifesize replica of Diplodocus carnegii, known as Dippy, guards the entrance to the Carnegie Museum of Natural History, giving a clue to one of its main attractions—a dinosaur exhibition that shows the prehistoric giants in scientifically accurate habitats. After a restorative stop at the café, proceed to the Carnegie Museum of Art to see more than 140 plaster casts of architectural marvels, among other exhibits. What is it? 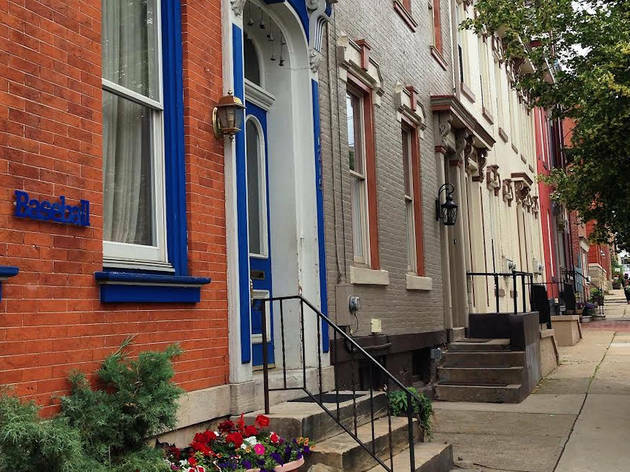 Whether you’re in the market for charcuterie or a yinzer souvenir, the quarter-mile “strip” of Penn Avenue delivers. Why go? Locals buy produce, pierogi, fish and black and gold jerseys off the street, which is lined with specialty food stores, like Wholey’s Fish Market, and shops that showcase local craftspeople, such as Jonathan Moran Woodworks, where you can pick up a unique cutting board. Drop into Roxanne’s Dried Flowers to make your own potpourri or simply inhale the gorgeous scents. What is it? 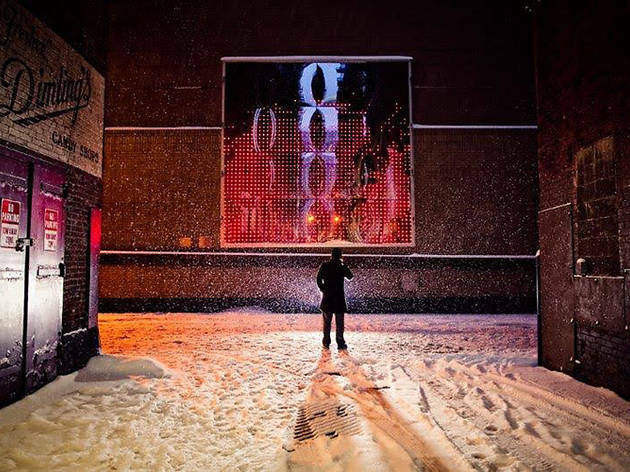 The Office of Public Art offers self-guided tours with detailed explanations of the installations and surrounding buildings and bridges. Why go? 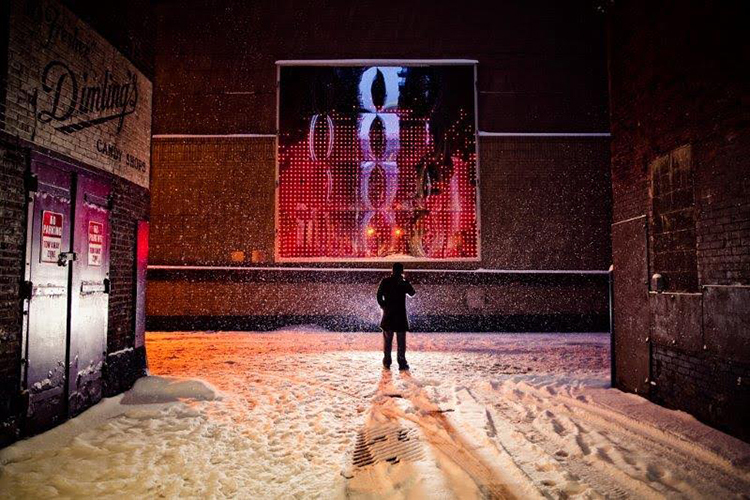 To navigate Pittsburgh’s hundreds of public artworks, it helps to have some direction. Start the Cultural District Tour on the terrace of the David L. Lawrence Convention Center (itself a striking 2003 structure designed by starchitect Rafael Viñoly), where Jenny Holzer’s monumental 688-foot-long LED installation, For Pittsburgh, streams text from Pittsburgh-related books overhead. What is it? 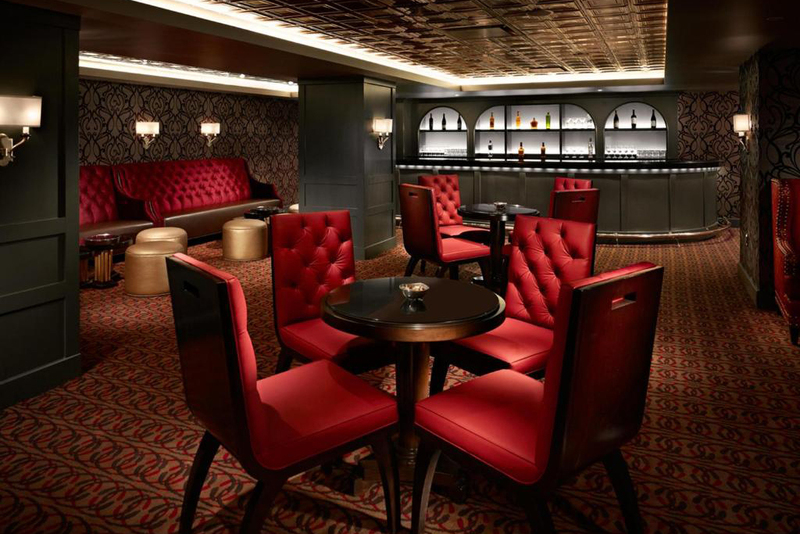 Speakeasy bars don't come much more authentic than this original. Why go? It seems that today's society still has an obsession with the roaring ’20s – and it's not difficult to see why. It was elegant, glamorous and full of freewheeling naughtiness. 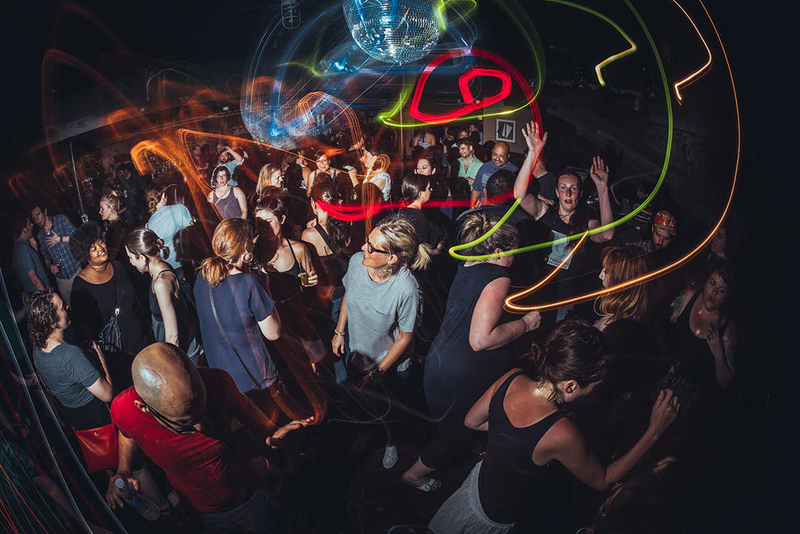 Despite that, it's The Speakeasy that does it best. 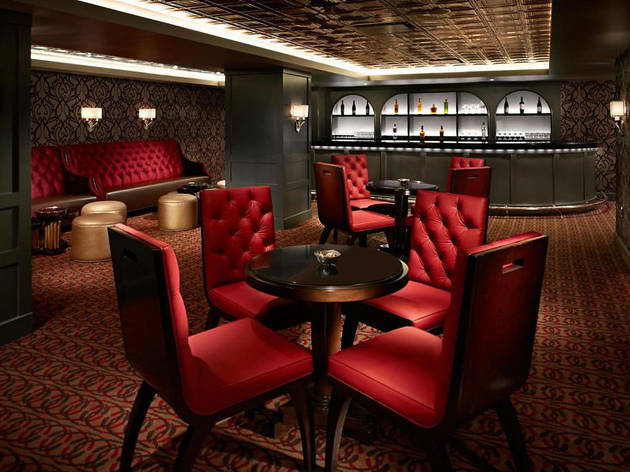 Originally set-up in the basement of the Omni William Penn Hotel during Prohibition, it's now a little more upmarket than when it was a secret. Get your hands on a vintage cocktail and settle into one of the plump red chairs for a stellar evening. What is it? Täkō (Japanese for octopus), is an eccentric Latin-Asian taqueria decked out with octopus sconces and pink chandeliers made out of bike chains. 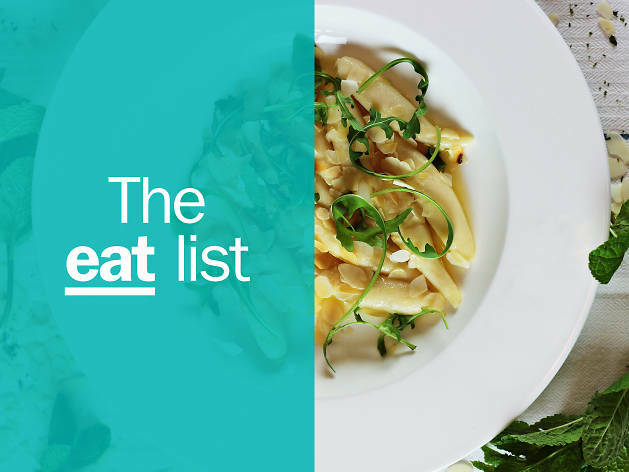 Why go Chef Richard DeShantz and restaurateur Tolga Sedvik are the duo behind some of city’s hottest tables, including gastropub Meat & Potatoes, bourbon destination Butcher and the Rye and täkō. Take your pick from traditional tacos (al pastor, pollo) or new twists on the theme (Korean short ribs, octopus). And don't forget the choco taco for dessert. What is it? 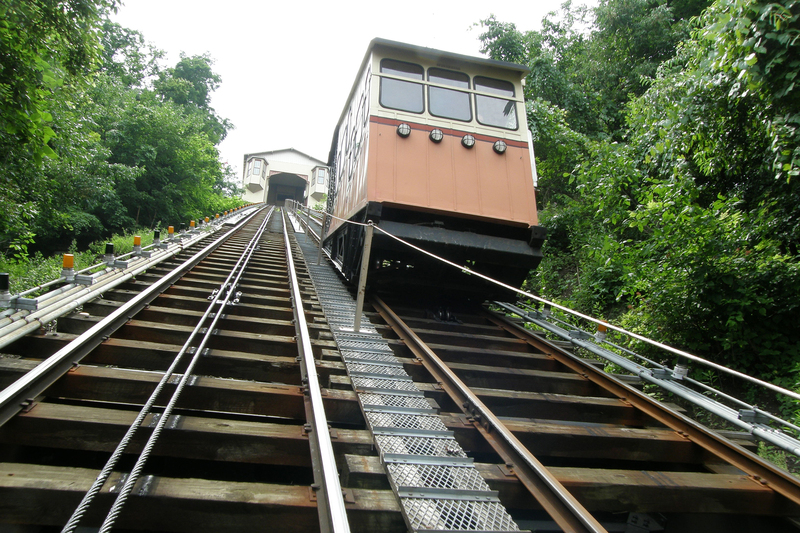 Alternative to the Monongahela Incline. The Duquesne is almost a mile further along the Ohio River to take you up to a different part of Mt. Washington. Why go? 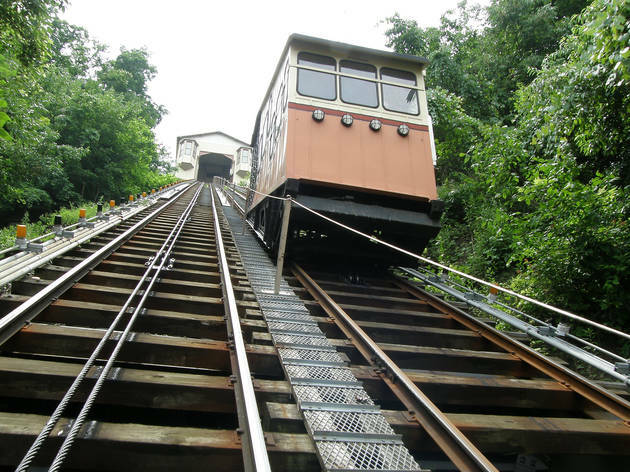 While the Monongahela Incline nabs the title of oldest continuously operating funicular in America, the Duquesne Incline – built seven years later – joins it as one of the two surviving lines carrying passengers that were opened in the 1870s. 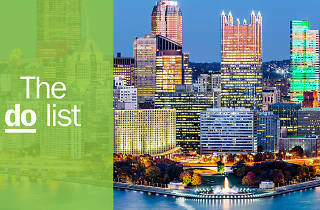 Once you've ridden to the top in the quaint Victorian carriage, have a nose around the little museum of Pittsburgh history, before popping into the Altius for a spot of dinner. What is it? 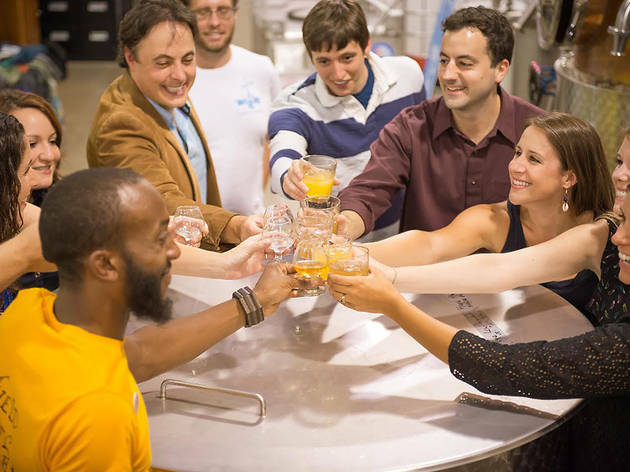 The folks at craft distillery Wigle Whiskey, named after Phillip Wigle, a key player in the Whiskey Rebellion of the 1790s, are reviving Pennsylvania rye. Why go? 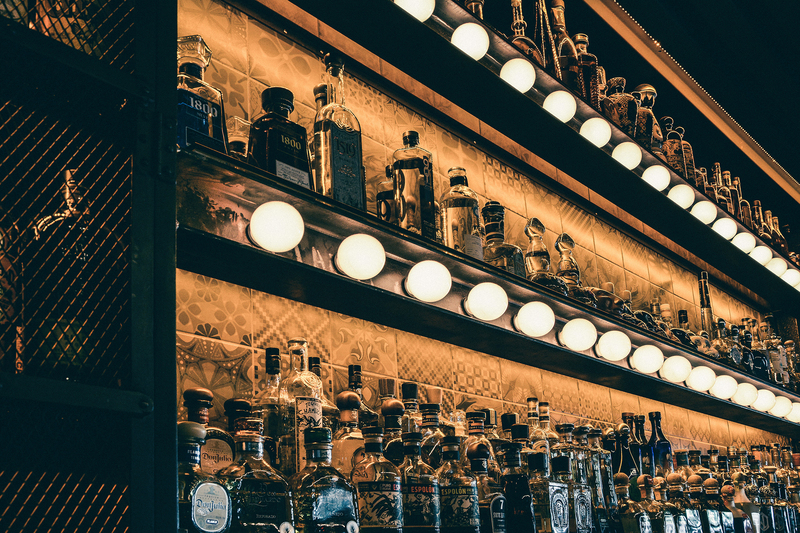 While Kentucky and Tennessee get all the glory, Pittsburgh was the birthplace of American whiskey. 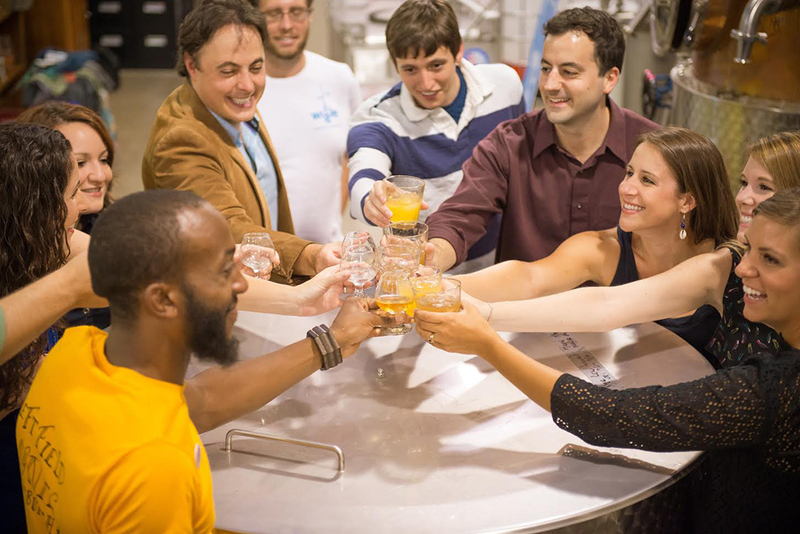 Take the tour to learn how the hard stuff is made and taste the wide selection of rums, gins, bitters and—of course—whiskeys, all of which are made from local organic grains as they were by local distillers centuries ago. What is it? Formerly the 581 Moose Lodge in Lawrenceville, this 10,000-square-foot space is now a two-level pizzeria, bar and party venue. Why go? Spirit's Slice Island dishes out pies made with fresh-baked foccacia, hand-pulled mozzarella, house-curdled ricotta and loads of locally grown toppings, like cannelini beans and broccolini. The cocktail list is equally inventive, with drinks like the Garden Negroni with thyme and the Iced Tea-quila with rooibos, Aperol and grapefruit oleo. What is it? 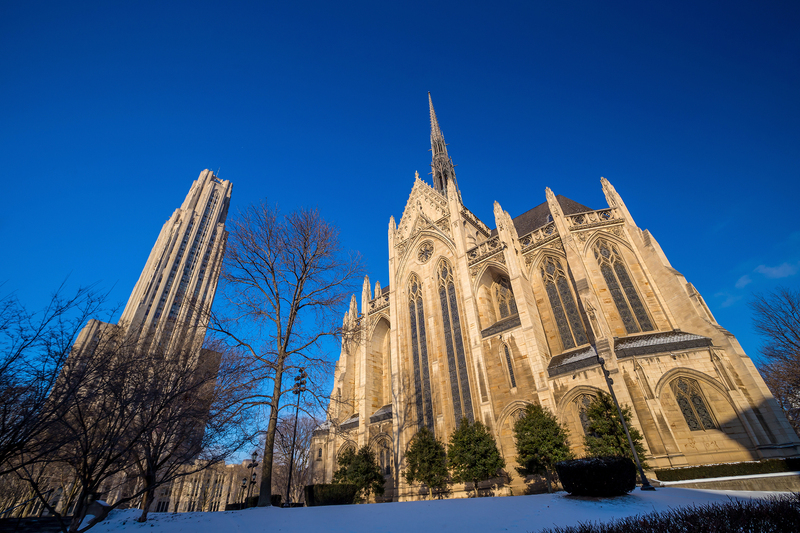 Pitt students often gather on the lawn at Schenley Plaza, hanging out with friends against the backdrop of a 42-story Gothic Revival skyscraper. Why go? Anyone is welcome to wander through this National Historic Landmark and take the elevator to the top for a bird’s-eye view of the campus. When class is not in session, explore the elaborately decorated Nationality Rooms on the first and third floors, each representing the culture of a Pittsburgh ethnic group. What is it? 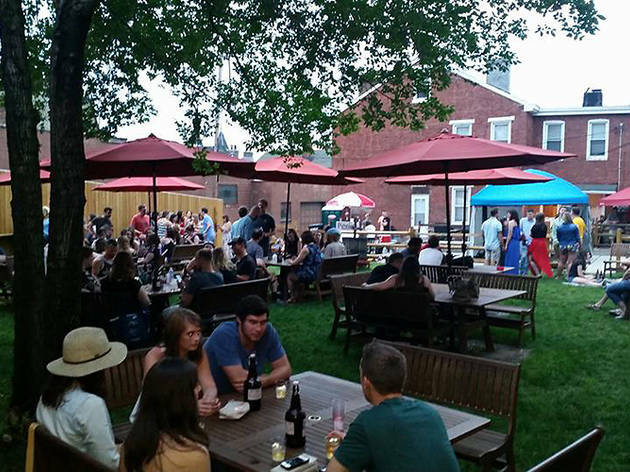 Named after the nearby Allegheny Arsenal, small-batch cider maker Arsenal Cider House and Wine Cellar occupy the converted first floor of a Lawrenceville home. Why go? 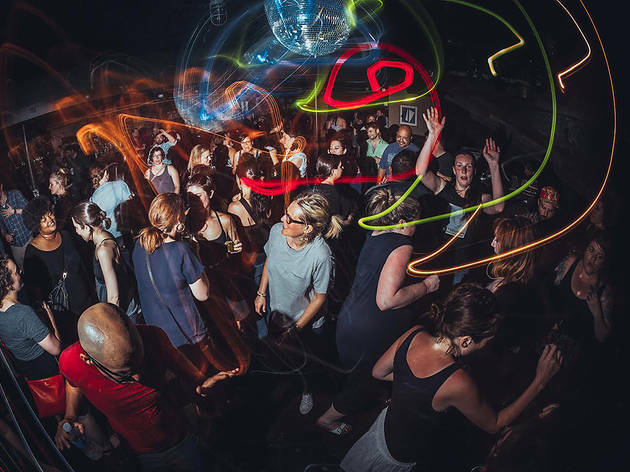 If there's warm weather, take your hard fruit cider (not just apple, but also pear, berry, ginger and the like) out to the backyard and listen to live tunes from local acts that range from acoustic duos to cover bands. 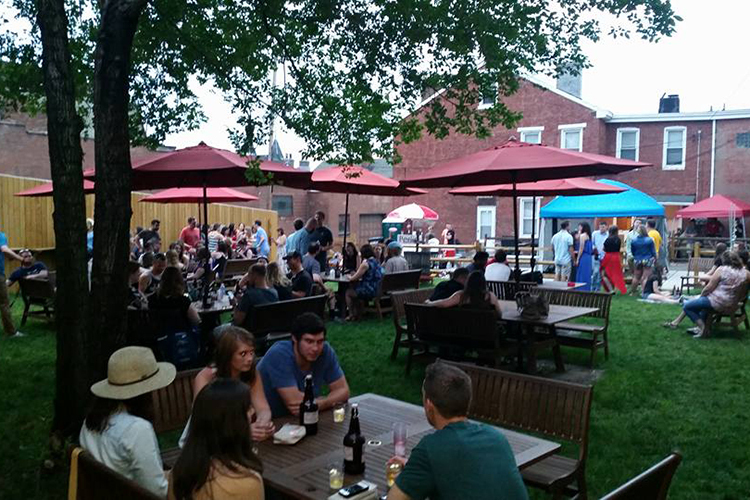 You might run into a pup or two, because the Cider Garden welcomes dogs. Pawfect. What is it? One of many public libraries founded by Andrew Carnegie, the imposing 1895 building also boasts an active athletic club and music hall. Why go? The Carnegie Library of Homestead offers a lot more than books. 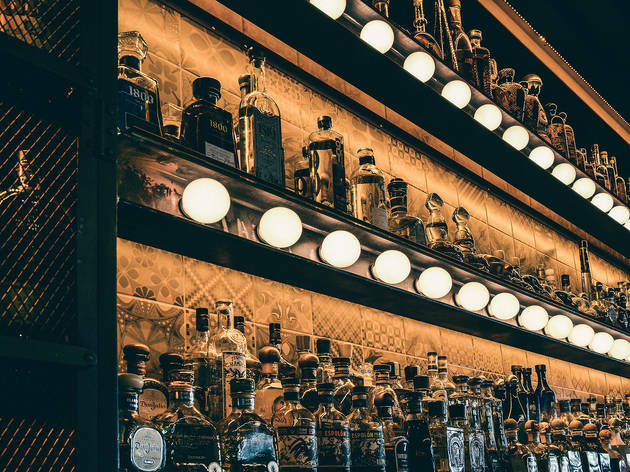 Before catching a show, you can have a beer or a glass of wine while you peruse the shelves for your favorite author. 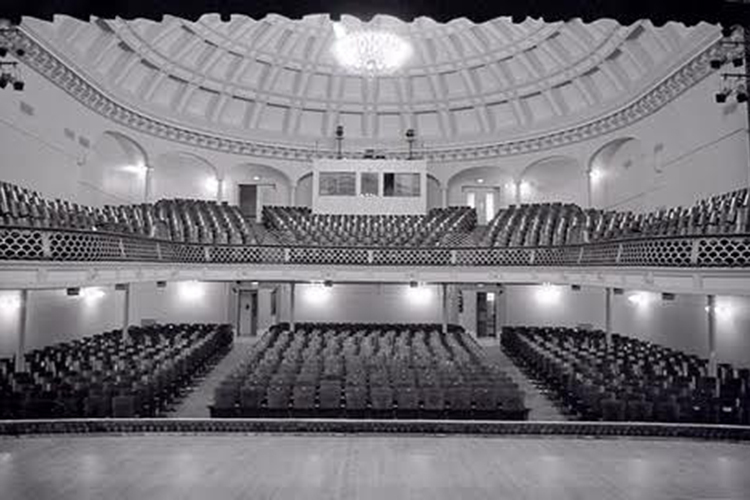 Then, take your seat for anything from Smashing Pumpkins to the next big indie folk band. What is it? 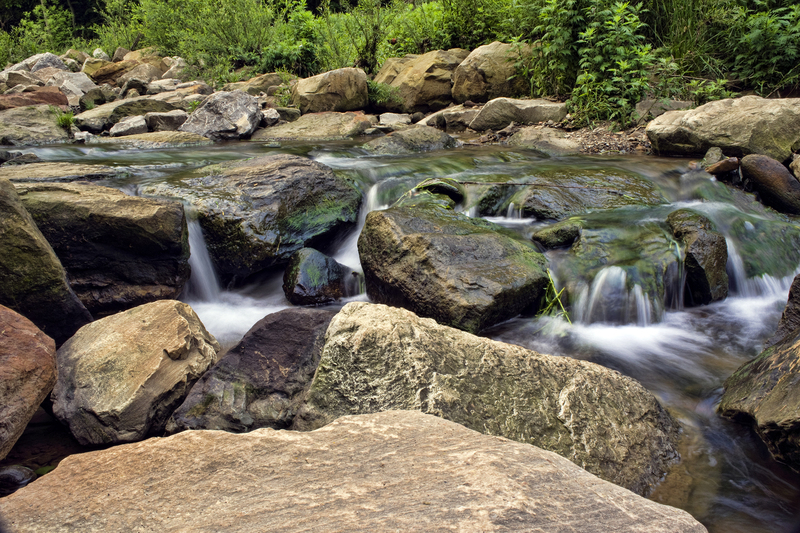 At the heart of Frick Park are 151 acres of woodland, a nature reserve gifted to Pittsburgh by Pennsylvania-born industrialist Henry Clay Frick in 1919. Why go? Explore miles of hiking and biking trails in the 644-acre oasis (plenty of land has been added on since Frick's original gift). 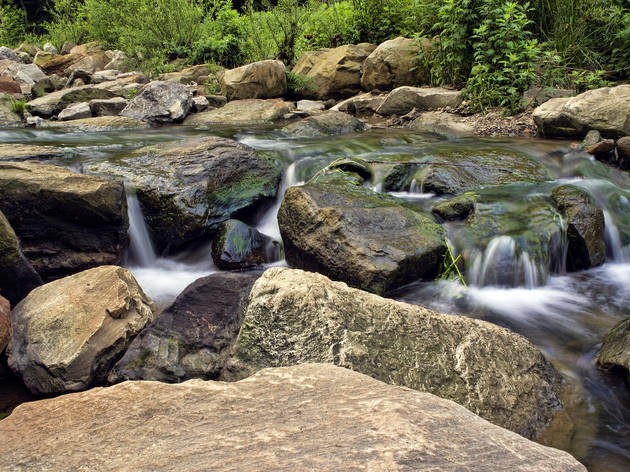 The roughly mile-long Tranquil Trail is an easy stroll down a wooded slope, while the Lower Riverview Trail is more rigorous, traversing steep hills alongside the creek. What is it? 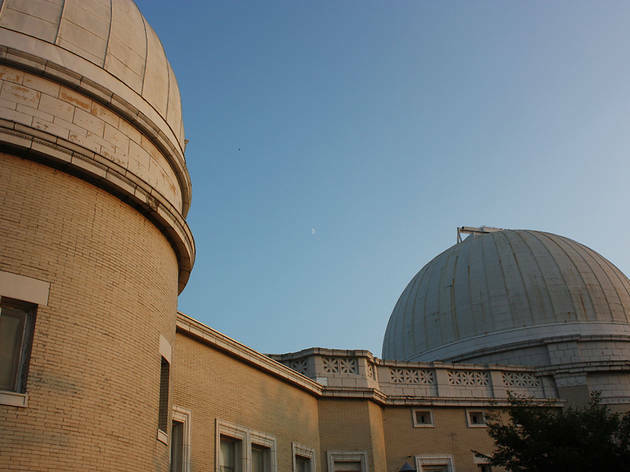 Located on top of Observatory Hill in Riverview Park, Allegheny Observatory is one of the major astronomical research institutions in the world. Why go? 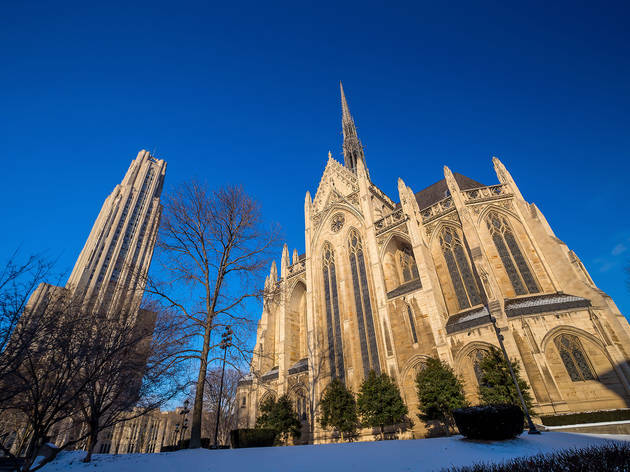 This private research institution owned and operated by the University of Pittsburgh only opens to the public on Thursday evenings from April until October. 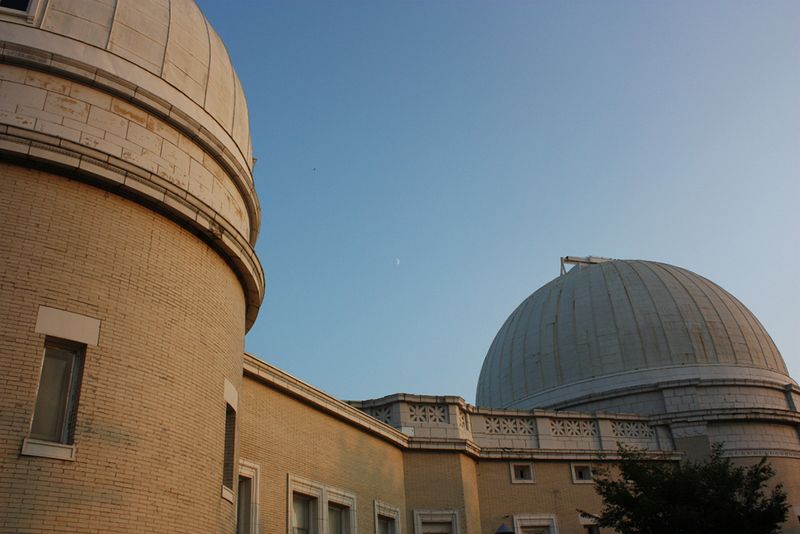 Free two-hour tours take guests through the entire building, culminating at the Fitz-Clark refractor telescope. Hope for a clear night, because your tour guide will be happy to point out any celestial objects in range. What is it? 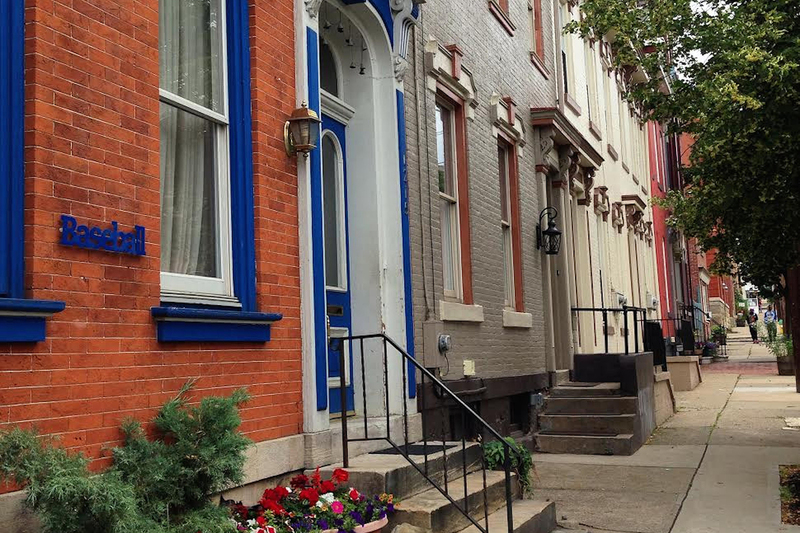 This historic neighbourhood is known for its Victorian row houses, many of them painted in bright colors. Basically, you can't miss it. Why go? As you stroll the sidewalks, look out for the “River of Words,” the Spanish and English words on the fronts of some homes—a 2014 community-inspired art project led by a local artist collective. 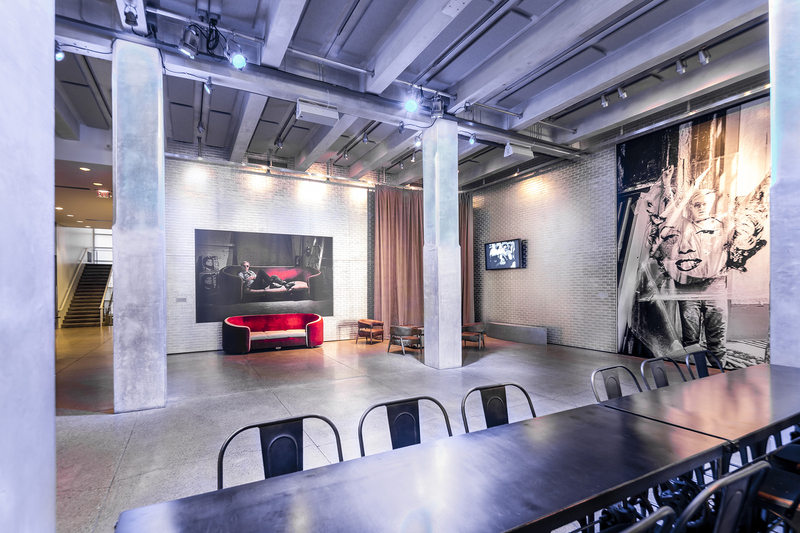 On Sampsonia Way, stop into the Mattress Factory, a one-of-a-kind museum showcasing installations in a variety of mediums. What is it? Though the pop art pioneer is synonymous with New York, Andy Warhol was in fact from Pittsburgh, as this museum attests. Why go? 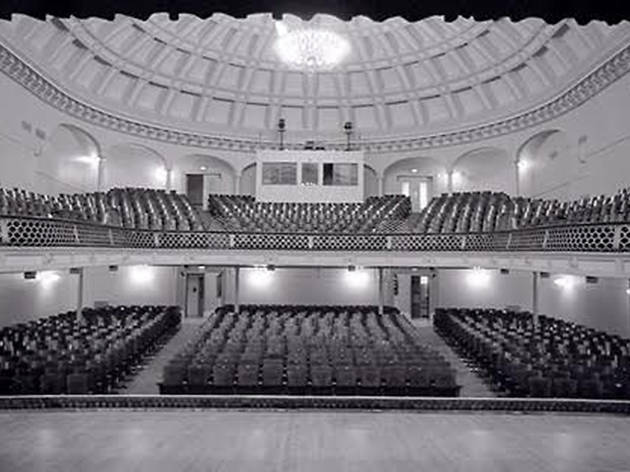 Born in the ’Burgh in 1928, it wasn't until Warhol graduated from Carnegie Institute of Technology (now Carnegie Mellon University) that he moved to NYC. 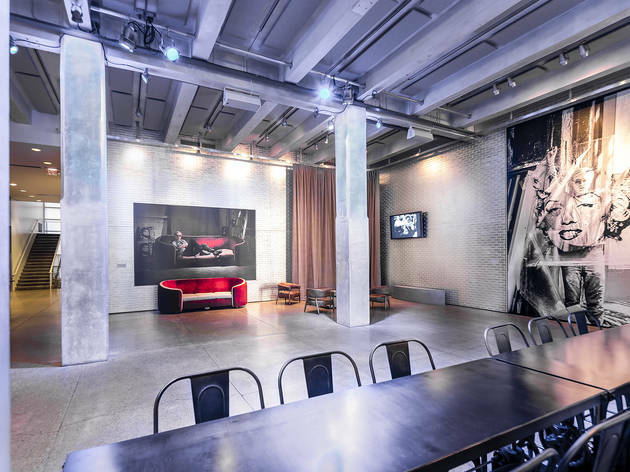 So staking full claim over our homegrown talent, the Andy Warhol Museum devotes seven floors to the late artist and holds the largest collection of Warhol works. Featuring early student sketches, his famous screen prints of Jackie O and the like, the Brillo boxes, among other advertising, and much more besides. What is it? The Great Allegheny Passage (or GAP) rail trail runs along the riverfront all the way to Washington, D.C.
Why go? 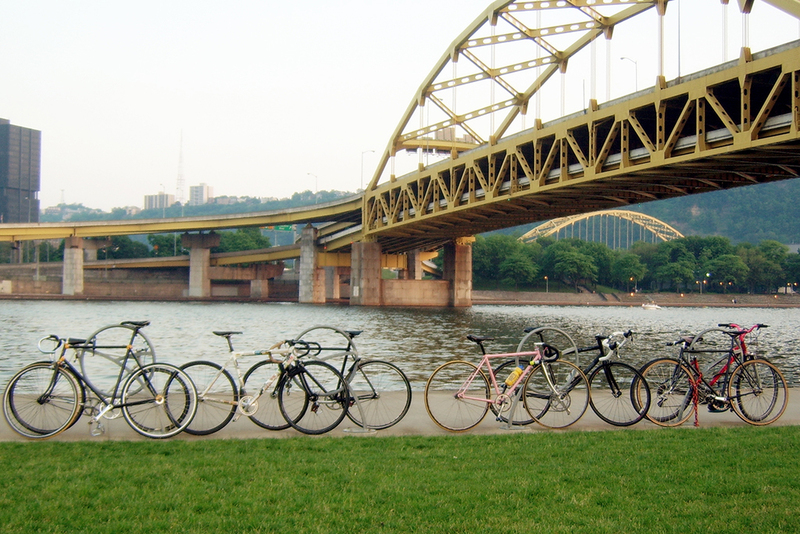 With its bridges and byways, Pittsburgh can be a travesty to navigate by car, but pedal around and things get easier. 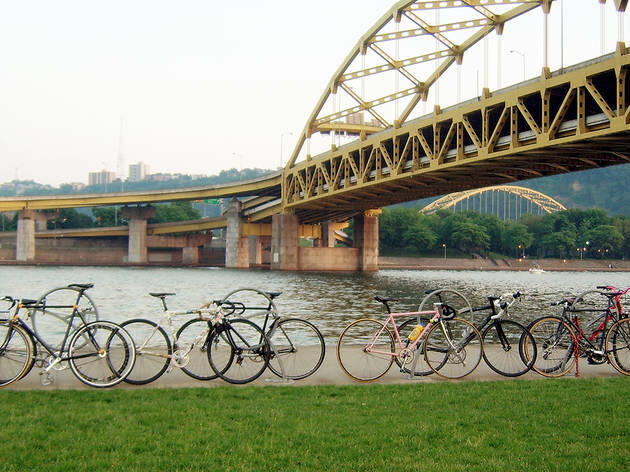 Even if you aren't ready to attempt the 'Burgh portion of the 150-mile GAP trail, it's still worth renting some wheels. Whatever you do, bike across at least one of the 446 bridges – they don't call it the City of Bridges for nothing. 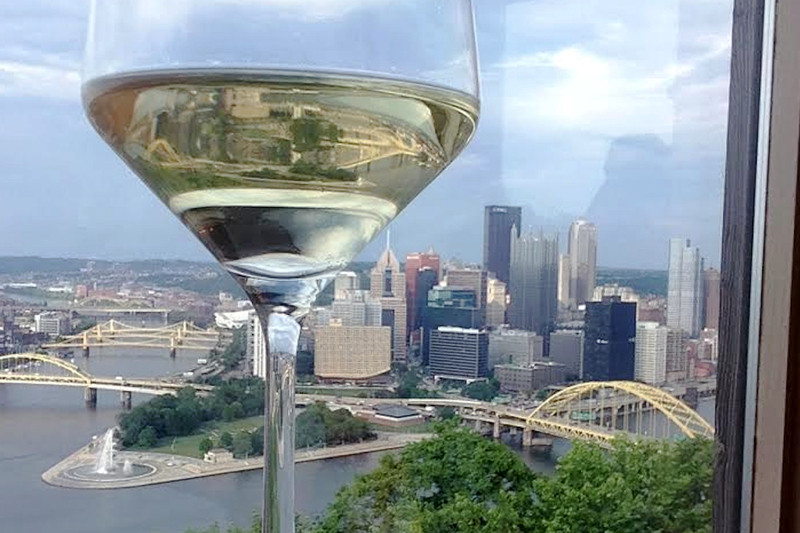 Ready for a taste of Pittsburgh? 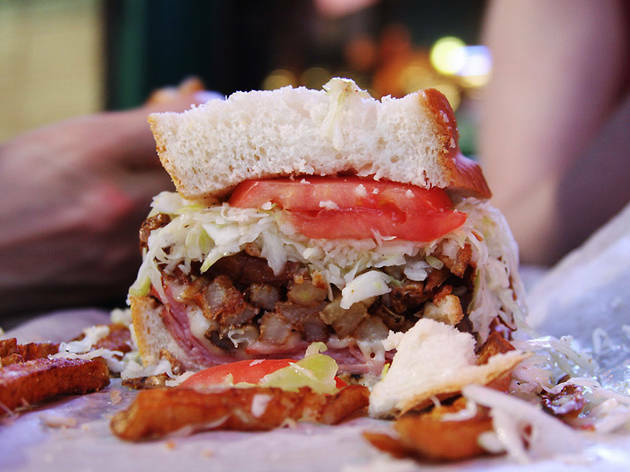 Find out where to grab the kind of classic sandwich or cake that locals have been chowing down for years. Plus, discover where to try some of the innovative cuisine (say, Sichuan) of some of Pittsburgh's hotshot young chefs.